bfitzgerald wrote: I don't need extensive catalogue options, but I do need to be able to add and browse files quickly making adjustments that are saved on the fly. So any other suggestions free or paid I'll consider any help appreciated. I'm not upgrading from LR6. I'll use LR5 or LR6 depending on the files I'm editing, because there are few VSCO profiles I like to use. I need to work more wiht Capture One in order to get closer to the flavors I like, and I'm thinking on using Bridge for keywords, or even using LR6 for that and GPS info, but doing the editing on Capture One. 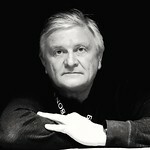 ValeryD wrote: I wrote a lot to Adobe about the problems with the latest LR, especially the speed of the LR (6. * 7. *), I was on Adobe webinar, asked about the speed of LR, they answered that they are working on this problem, but after almost 2 years, nothing new has been done in this direction. This is, for me, the real reason i'm not upgrading to LR CC or any of the new offers. in order to make LR6 work a little better, you need to increase the Cache a lot and erase previews often. Well, you are wrong on both counts. Saving LR edits as an sidecar file does NOT allow them to be carried over to other programs. Even using them to go to an older version of LR is not problem free since older versions will ignore any editing using commands/features that are not in the older version (which is as expected). Darktable can use a small subset of the LR edits, but others it ignores. And the result may not look much like the LR result. C1 is the same. It can only handle a small subset of LR edits and the result may not look like the LR result. I mostly shoot raw and have for about the last 13 years or so. I occasionally shoot some things in jpeg depending on the occasion and subject. Certainly for all my massive travel photo collection they are raw. bakubo wrote: Well, you are wrong on both counts. bakubo wrote: I mostly shoot raw and have for about the last 13 years or so. I occasionally shoot some things in jpeg depending on the occasion and subject. Certainly for all my massive travel photo collection they are raw. I've been using Raw Therapee for several years, and am also looking at all the other freeware out there. Since I usually don't do any heavy editing, it's not a problem for me. I like to capture images that I believe are true to what I see, but that doesn't mean I won't tweak color or white balance if needed. I can't remember the last time I did any masking or layering, so for me all of these really work okay. I do like to sometimes tweak files with a film type overlay, just to see how they look. My biggest wish is for a usable cataloging software that I can use easily, and also a universal type of keywording/rating system that's easily exportable, as I often work on the same photos on my laptop and desktop. I tried the Capture One free version for Sony and if I remember correctly it's not completely unlocked like the paid version. There are some features missing. Maybe I'm mistaken and need to take a look at it again. You are correct. The free version is Capture One Express for Sony, and it is actually quite good for a free program, IMO. Additional features are available with the paid upgrade to the full version. However, if you get the version that works only with Sony cameras, the license fee for the full version is only about a fourth of the cost of the full version that also works with other cameras. Your Mileage May Vary, but I considered the upgrade worth the price, and paid it. Big LR performance boost finally coming. I hope it is real. Last edited by bakubo on Sun Mar 18, 2018 10:34 pm, edited 1 time in total. UrsaMajor wrote: You are correct. The free version is Capture One Express for Sony, and it is actually quite good for a free program, IMO. Additional features are available with the paid upgrade to the full version. However, if you get the version that works only with Sony cameras, the license fee for the full version is only about a fourth of the cost of the full version that also works with other cameras. In general, I'm OK with Capture One, specially rendering for pre-view (LR became painfully slow). I'm still not 100 happy with the final output, I find their sharpening too aggressive. I need to work more with the software in order to find the right flavors for me. I'm doing DAM with Lightroom and editing with Capture One. Paid version on Capture One doesn't really add anything to DAM. I also have to give a try to the Capture One Styles. Finally, Adobe fixed general problem with Lightroom. New Lightroom CC v 7.2 works fine with large size of the files. I will download the update when I get back to Japan. I am traveling for the last 5 weeks in Europe and Morocco and still have 2 weeks until back home. I am hoping I notice a bit of a performance boost in the new version. Quick update I'm still looking for a LR replacement. However I did try a few other programs such as Affinity Photo which is pretty good. However I have always used a raw development package and a seperate editor (as and when needed). I sat down and looked at what I actually used a pixel editor for, and it's mostly basic adjustments. So I ditched paint shop pro 9 which I rarely used and the raw development was pretty horrible, which didn't matter as I mostly tweak TIFF or Jpeg files. I still scratch my head at why GIMP doesn't have out of the box as such WB adjustment, neither does paint.net you have to get a plugin. I got back to Japan a couple of weeks ago after 7 weeks traveling in Europe and Morocco. I updated to LR Classic CC 7.2 from 7.1. Seems a bit faster. Been busy working on Europe and Morocco photos every day. Rawtherapee 5.4 just released with rather major improvements.